On December 12, 2011, days before the three-month anniversary of Occupy Wall Street, John Knefel, an independent news reporter and co-host of Radio Dispatch, was arrested covering the Occupy Port Shutdown solidarity rallies in New York City, at the Winter Garden Theater. He and 10 other journalists were arrested mid afternoon, then were shackled and transferred in the early morning hours to central booking and held in holding for 37 hours. While they were in holding, the NYPD asked the motley crew of peaceful journalists if they were willing to take an optional retinal scan, none of which complied with the offer. 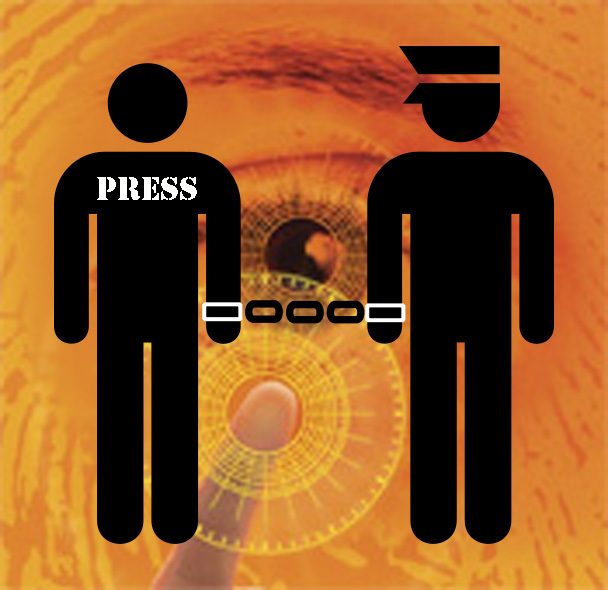 Then while waiting for their arraignment, the journalist were asked a once again if they wanted to take an optional retinal scan before their hearing, and once again the journalists declined the eye scan on the grounds that it was invasion of privacy. The NYPD threatened the journalists another night in their holding cells if the denied the scan. The journalists were able to get in contact with their National Lawyers Guild representatives, who secured a deal for the release of the journalists. In post 9/11 America it has become apparent that our rights are being slowly taken away and that police forces across the country are being aided by federal money to militarize their departments. November 30, 1999 ushered in a new era of anti-globalization activism in the United States. 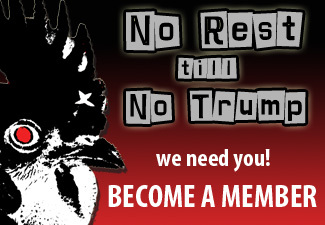 On that date in Seattle, the World Trade Organization Ministerial Conference attracted tens of thousands of anti-globalization activist and union members were all fighting against the organizations neo-liberal trade policies. The peaceful protests were organized by the Direct Action Network, whose goal, which was met, was to shut down the conference. In the morning hours, the Seattle Police Department, lead by Police Chief Norm Stamper, released tear gas and fired rubber bullets into the crowds of peaceful protesters, who were locked down in an open act of civil disobedience. The protesters successfully broke down the trade negotiations, which set a future precedent for future WTO meetings. Norm Stamper, who has since recanted his actions, became the figurehead for the militarization of police departments and has laid out the ground work on how to disperse future demonstrations. 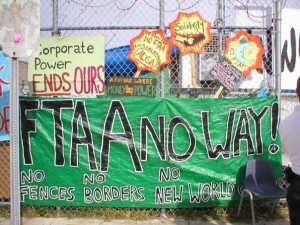 In November 2003, protesters descended upon Miami, FL for a series of demonstrations against the Free Trade of the Americas (FTAA) agreement, which built upon the North American Free Trade Agreement (NAFTA) to reduce trade barriers between 34 out of 35 states in the Western Hemisphere. The agreement was met with staunch opposition from South American countries, who have witnessed American supported coups during the 1970’s and 1980’s, that “eliminated trade barriers” so American corporations could make immense profits off cheap, exploitable labor. 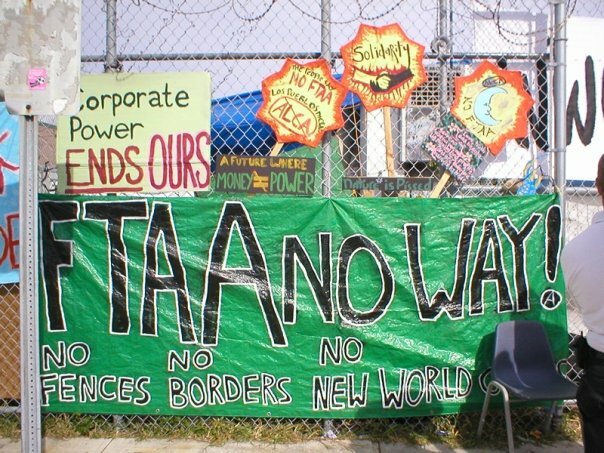 The FTAA conference was met with over 10,000 demonstrators ranging from anti-globalization protesters to union workers fighting to keep American jobs in the country, but they were also met with a heavily militarized Miami Police Department, headed by Captain John Timoney. The Miami PD was heavily equipped with armor, riot shields, tear gas and flash bang grenades and rubber bullets. The police department was also fortunate that downtown Miami was laid out in a grid pattern which allowed for the cops to kettle protestors, just like what we have witnessed in New York City during the Occupy Wall Street protests. The reasons why police departments are looking at the Battle in Seattle example and the Miami Model are because they handled large dissent in a non-peaceful and time efficient manner. Occupy demonstrations across the country have been kettled by police departments with orange nets, have been pepper sprayed in multiple cities, and have been dispersed with tear gas and flash bang grenades. Police departments are also using a tactic that was perfected during the Iraqi Occupation. Most of the major evictions occurred during the early morning hours, which was a tactic developed by American troops, in Iraq, when they swiftly captured suspected terrorist in the early morning hours. In a knee-jerk response just days after September 11, 2001,President George W. Bush created the Department of Homeland Security to be led by former Pennsylvania Governor, Tom Ridge. 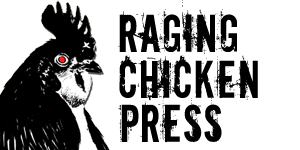 And just weeks after the terrorist attacks, the United States Senate and House of Representatives passed, nearly unanimously, the highly controversial Patriot Act, which allowed wiretapping suspected terror suspects, inside and outside of the United States, the indefinite detention of terror suspects abroad, the distribution of federal grants to local law enforcement agencies, and a lengthy list of controversial clauses. With the demonstrations and evictions of Occupy sites throughout the country, we are witnessing first-hand the intentions of the Patriot Act and the Department of Homeland Security. I will soon introduce legislation that would increase the number of JTTFs in the country and further provide the resources to local governments so that they can have ample representations on the JTTFs. Local law enforcement is stretched to its fullest capabilities, we, the federal government must provide them with the needed resources. We must deploy the 600,000 eyes and ears. Our country’s safety must be paramount. “SEC. 1005. FIRST RESPONDERS ASSISTANCE ACT. (a) GRANT AUTHORIZATION- The Attorney General shall make grants described in subsections (b) and (c) to States and units of local government to improve the ability of State and local law enforcement, fire department and first responders to respond to and prevent acts of terrorism. 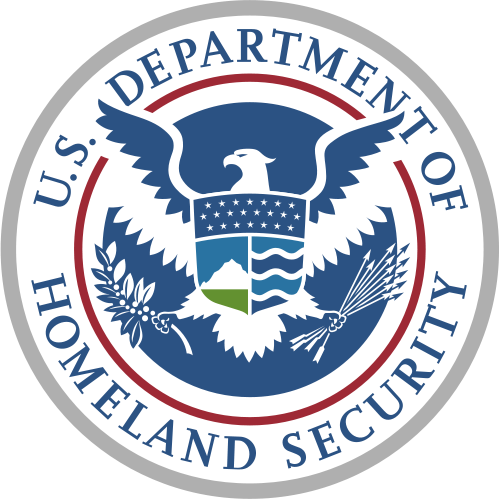 The Department of Homeland Security is the government agency responsible for the distribution of funds and grants to local law enforcement. In a recent Salon.com article, “How the Feds Fuled the Milirarization of Police,” Justin Elliot describes a recent story by the Center for Investigative Reporting. The Center discovered the distribution of $34 billion in federal grants that has allowed local police departments to stockpile machines and anti-terror equipment that has hardly been used. The Center’s report, “Local Police Stockpile High-Tech Combat Ready Gear,” by Andrew Becker and GW Schultz, shows the transformation of police forces into miniature military units, and the report claims there is a lack of oversight regarding how the money is being spent. For instance, in Fargo, North Dakota, a city that averages less than two murders a year, spent over $250,000 on an armored truck with a revolving turret on the roof. Fargo’s justification for purchasing the truck was to prevent a hypothetical attack similar to the Mumbai attack. 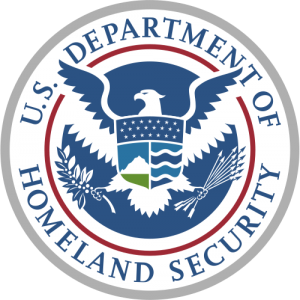 Becker and Schultz further report that the Federal Emergency Management Agency is responsible for distributing the DHS grants, which in the past year were awarded $500 million through the recovery act. The article also has an interactive map, which details the state by state federal grant spending. The Department of Homeland Security and the Patriot Act have opened up the federal government’s checkbooks and have allowed local police forces to go on a military-esque shopping spree. The nationwide crackdowns of the Occupy Wall Street demonstrations, through October, 2011 to December, 2011, witnessed by the public, have shed light upon the upgraded police equipment, which became available through federal aid. Local law enforcement have gained major upgrades in surveillance technologies and crowd control equipment. It is alarming to see this new array of equipment being used to disperse protesters, and in some cases, these new technologies are starting to be used on ordinary citizens. In the same CIR report, Becker and Schultz showed that the Montgomery County Sheriff’s Department in Texas, spent $300,000 on a surveillance drone, which could be used for border protection. The United States Air Force has been using unmanned drones in the “War Against Terror” for bombing and surveillance missions throughout the Middle East and North Africa. Most recently, the United States is caught in a controversy with Iran when the country shot down an American drone during a surveillance mission. In the United States, an unarmed predator drone played an important role in the arrest of a North Dakota farmer, who was accused of stealing 6 cattle from another farmer. The Nelson County sheriff’s office justified the use of the drone because the office had to execute a search warrant on the farmer, who was armed when the sheriff’s office tried to execute a previous warrant. According to the Los Angeles Times, local police departments along the Mexican and Canadian borders have used the Predator B drones, with the aid of the of local air force bases, to conduct surveillance exercises along the borders, and in the Nelson County Sheriff’s Office example, the local air force base lent its drone to authorities to conduct the warrant. The United States Congress allowed the Customs and Border Protection agency and local law enforcement to purchase and use drones in 2005. On the ground, local authorities have been displaying and using their new arsenals for crowd control. The new weaponry includes armored vehicles, which were in display at Occupy Los Angeles, a wide array of new sound cannons, and an arsenal of hand-held equipment such as concussion grenades, tear gas grenades, weapon grade pepper spray, and rifles that shoot rubber bullets. 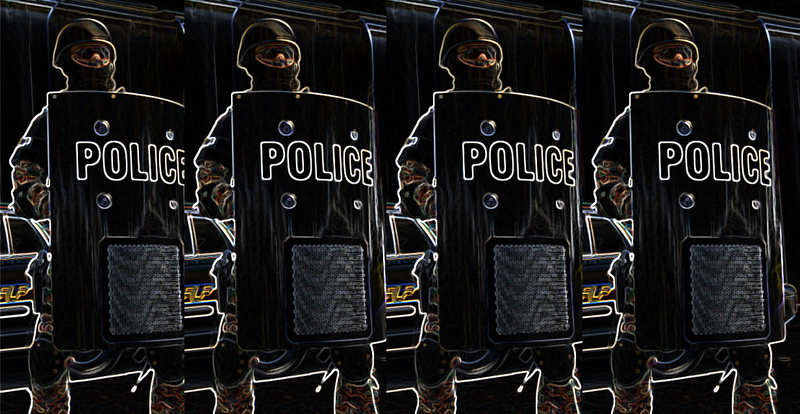 The use of armored vehicles to break up demonstrations were used recently at the 2009 G-20 Summit in Pittsburgh, PA. Authorities protecting the summit mounted Long Range Acoustic Devices (LRADs) on top of the armored vehicles turret. The same vehicles and LRADs were used to break up the Occupy Los Angeles and Occupy Oakland camps, and small hand-held LRADs have been used by NYPD to control protesters. If a person is standing within one meter of a small handheld sound cannon, the cannon will emit 137 decibels, which is 37 decibels louder than a jet engine, and slightly below the pain threshold of 140 decibels. These sound cannons are controversial and can cause permanent hearing damage. In a recent AP story, “Protest Boost Sales and Fears of Sonic Blaster,” Karen Piper, a University of Missouri English Professor, was documenting the G20 Summit in Pittsburgh, and she experienced hearing damage when she came within 100 feet of a mounted LRAD device. The Pittsburgh Police Department disputes the claim, but if losing your hearing wasn’t bad enough, a newly patent riot shield by Raytheon will use sound technology to suffocate and incapacitate protesters. The shield is designed to send out a pulse of pressure that would resonate with the upper respiratory track, which would hinder the breathing of protestors. Weapons that are being used to physically disperse protesters are pepper spray, tear gas and flash bang canisters and rubber bullets. Military grade pepper spray was perfected in the late 80’s and early 90’s when scientist created synthetic capsaicin, which is the main chemical in chili pepper plants. The effects of the spray cause immediate closing of the eyes, difficulty breathing, runny nose and coughing. Pepper spray is also used in tear gas canisters, which releases a cloud of the chemical agent when the canister detonates. Flash bang grenades, which were use to disperse the Occupy Oakland demonstrators and critically injured Scott Olsen, are used to disorient suspects or protesters with a flash that attacks an eye’s cells and with a bang that disturbs the fluid the protesters ear. Finally, rubber bullets are made from wood, wax and plastic, which are fired from a standard rifle or paint ball gun. The projectiles are used for crowd control and can be fired as a single projectile or a 12 gauge shotgun round. In post 9/11 America, with the creation of the Department of Homeland Security and the adoption of the Patriot Act, local law enforcement have become paramilitary units designed to put shock and fear in the minds of the citizens they serve, rather than patrolling and keeping peace in their neighborhoods or towns. Police forces across the country have spent a $34 billion of federal money on assets that have been rarely used, and could have been spent on the progress of the American society. Since the evictions and the hibernation of the Occupy movement and my last post, a laundry list of developments has occurred. The Chicago Mayor, Rham Emanuel, has shown how he will respond to the supposed protests at the Chicago G8 and NATO Summits this summer, which will be held simultaneously in May. The Chicago Police Department has bought 3,000 new riot helmets, and 2 OMEC drones for surveillance reasons.